After the loss of a loved one, you may find yourself suddenly thrust into the midst of various legal issues. 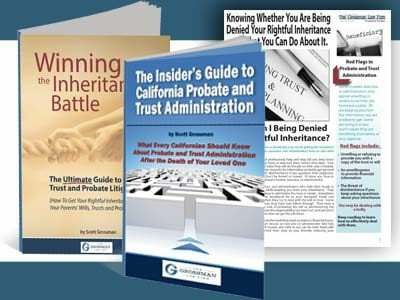 These issues may involve the settling of your loved one’s estate, which requires familiarity with the often detailed rules surrounding probate and trust administration in California. Other issues may involve court intervention over suspected fraud, duress, theft, or other activity that is harming the trust or estate. At our Riverside, California office, we can guide you through the process of resolving any trust or estate issue that you are currently facing. While we are here to help clients throughout California, we know that traveling to San Diego or Riverside counties is not always ideal for our clients. To make meeting with us more convenient, we are happy to offer an additional office locations in Temecula as well. We also offer phone appointments and are happy to work with clients who are unable to travel to meet us via email and phone to provide the best services possible. Our Riverside office is easily reached from several major routes as well as public transportation. Our office address is 6370 Magnolia Avenue, Suite 320, Riverside, California, 92506. Regardless of whether you need assistance administering an estate or pursuing a trust or estate litigation matter, it is important to act quickly. Failing to do so could substantially harm the assets of the trust or estate, which ultimately may reduce your inheritance. Contact us today at our toll free number 888-443-6590 to schedule a meeting. We also encourage you to visit us on YouTube, where we offer several helpful and informative videos about trust and estate matters that impact our clients. 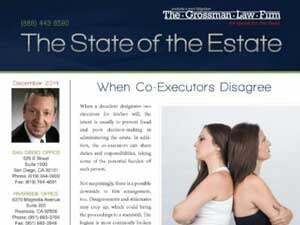 At the Grossman Law Firm, we always welcome the feedback of our former clients. We strongly feel that it is the satisfaction of our clients that speaks most clearly to the services that we can provide. Just click any of the buttons on the left to be taken directly to a lawyer-rating website. 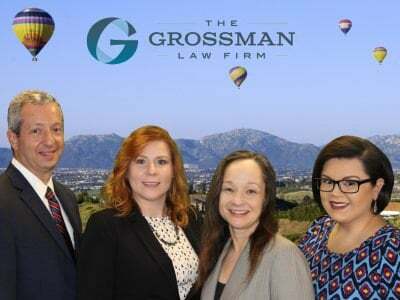 We appreciate your assistance and hope that your feedback will assist others who are seeking assistance with their trust or estate legal matters.